Kensium has launched their latest product, Inveno - Near Dupe Detection to group or identify near duplicates and reduce the number of documents that need to be reviewed. Kensium’s Inveno - Near Dupe Detection is a breakthrough in the world of near duplicates that prolong the process of document review. It is an exciting new way to simplify document review. Inveno is useful to Litigation Support companies, Law Firms and Corporations to help reduce the amount of documents that they need to process. The special ability to perform manual reviews, and mark documents as duplicates prior to the exports is one of the unique features of the product. De duplicating documents is a common practice in organizations where there is heavy document traffic as in Electronic Data Discovery and other such industries. Such de duplications include metadata and it frequently misses out on the non exact documents. This leads to an abundance of the non exact documents leading to confusion in selecting the required document. Kensium’s Inveno examines the content of each document via a complex algorithm based on the size, the number of lines, and the words within the file to determine duplicates within the matching thresholds set by the user. While de duplicating the portions of documents is a prevalent system in organizations, Inveno is a unique product from Kensium that accommodates Speed, Flexibility with Custom Output Options, and Cost Effectiveness. Ability to perform manual reviews, and mark documents as duplicates allow identifying the near duplicates, grouping them and segregating information based on a master document within the group. The output can be generated as CSV report with custom delimiters and can be imported into any litigation support tool such as Concordance, Summation, Law and so on. 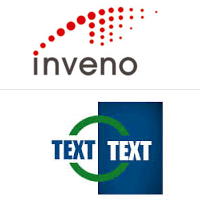 Inveno can be run against Extracted/Printed text or OCR and the thresholds for determining near dupes can be adjusted automatically based on the source files. The product isolates and greatly reduces volumes of near duplicate documents which are almost same with minor differences in content, formatting or metadata. Inveno can be deployed at the client organization or offered as a service through Kensium.